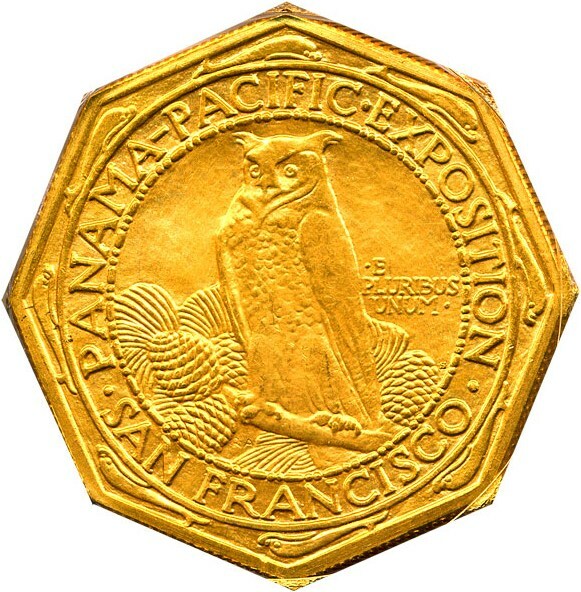 A lovely mint state example of the famous Pan-Pac Octagonal gold commemorative. 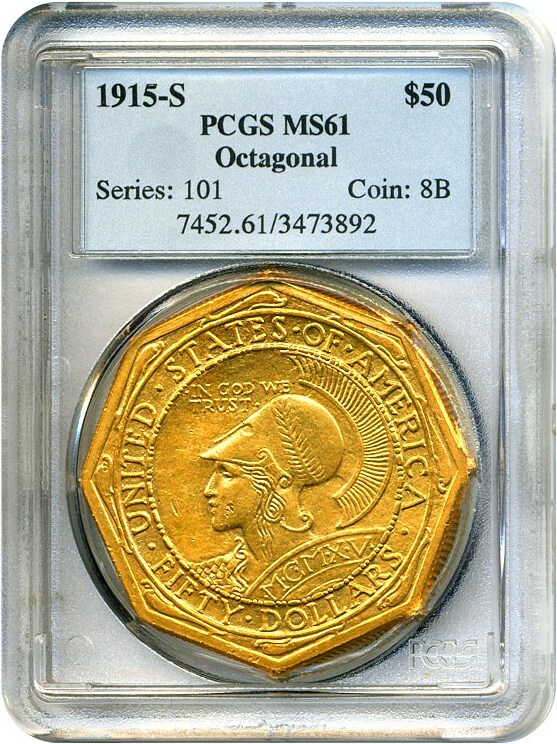 Technically this coin is an MS63 or so but a couple bag marks on the obverse portrait (understandable given the weight of this coin) make this coin an accurate grade at MS61. 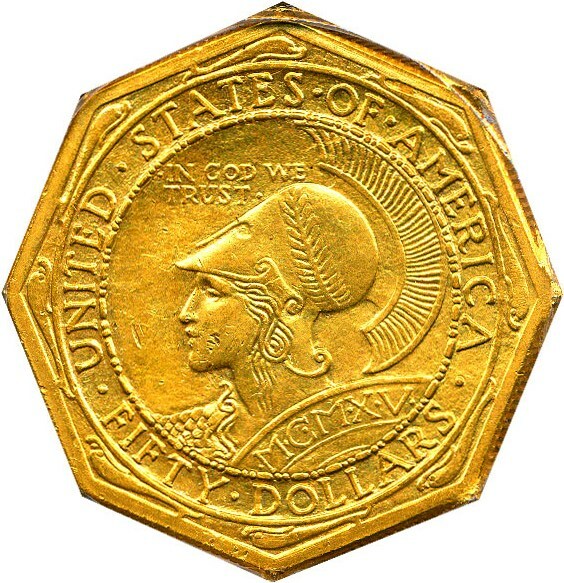 The reverse would grade 63-64. Only 645 struck and highly coveted.